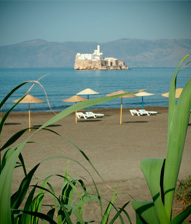 and get a 15% discount on reservations for one or more nights of stay . 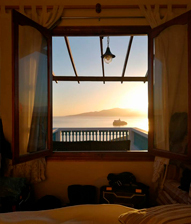 …A quality, full of charm and charecter Bed & Breakfast family run, in the heart of The Rif, offering a unique accommodation and the very best moroccan hospitality. The perfect place to rest, relax and get away from everywhere. 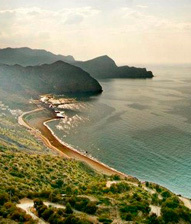 Great small hotel located on a sea front hill, at three minutes’ walk from Sfiha Beach, you will enjoy the breathtaking views of the bay, the Peñon de Alhoceima, and the still unspoiled coast line. 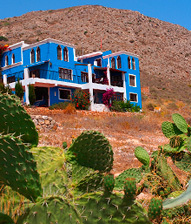 A perfect base to explore the mediterranean Morocco north coast and the Al Hoceima’s National Park and its environment: where virgins coast , natural areas, friendly and authentic people, and relaxed pace will allow you forget the speed of our lifes and cities. From the comfortable guest lounge and an outdoor patio area and terraces, you will enjoy the sound of the waves a few meters below…The sea sound as background music. Peace and relax are some of the moments you can remember from your stay at Casa Paca Guest House. Specials memories that relate to the beautiful views of the Bay and its light, the Rock ... and the alive blue color The Mediterranean.